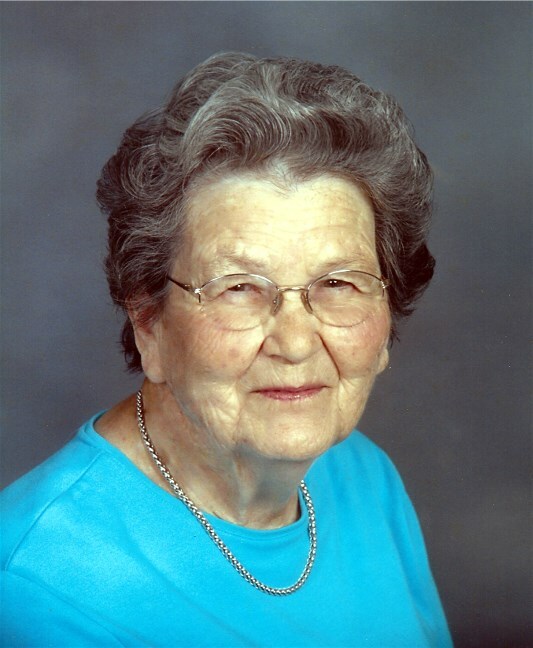 FAYETTEVILLE - Irene Wheless Ray, 99, died on February 3, 2019. She was born on August 7, 1919 in Franklin County, NC to William D. Wheless and Mary D. Wheless. She was preceded in death by her husband, Carl N. Ray and siblings, Nan Lamm, Bayard Wheless, Betty Mackie, Charity Ness, Raeford Wheless and James D. Wheless. She is survived by her sons, Robert G. Ray and wife, Sylvia of Fayetteville and C. Michael Ray and wife, Josephine of Mars Hill; granddaughters, Nicole Graysmith and husband, Luke of Chapel Hill and Lauren Ray of Seattle, WA; three great-grandchildren, Atticus, Rosemary and Cedar Graysmith; nieces and nephews, Dal and Rosalyn Mackie, Jimmy and Kenny Lamm, David Wheless and Kim Collins, Greg, Jeffrey and Derek Ness, Betty Whitaker Frazier, Barry Whitaker and Donnie Oakley; and her brother’s wife whom she thought of as a sister, Virginia Pearce Wheless. Funeral Services will be held at New Hope Christian Church, 2779 NC-98, Louisburg, NC 27549 on Wednesday, February 6, 2019 at 1 p.m. Visitation with the family will immediately follow the service. Irene attended Park View School of Nursing and was a registered nurse working at Franklin Memorial Hospital in Louisburg, NC from the time it opened. She later became a Public Health Nurse for Franklin County and served in that capacity for 27 years. She had an extraordinary memory even at the age of 99, particularly for events and people of Franklin County. She read a couple of books each week and her Bible each day. She was a lifelong member of New Hope Christian Church and dearly loved the members there who were exceedingly kind to her. She was a person of strong faith, a wonderful wife, mother, grandmother and friend. The family thanks the staff of Heritage Place Assisted Living, Dr. Cynthia Norris and her assistant, Cornelia, for their loving care and her many friends and family who called and visited her. Memorial donations may be made to New Hope Christian Church or a charity of one’s choice.